Join the Galway DevOps community for the latest edition of devopsdays: a worldwide series of technical conferences covering topics of software development, IT infrastructure operations, and the intersection between them. Each event is run by volunteers from the local area, and brings together local, regional and international experts for in-depth technical talks. 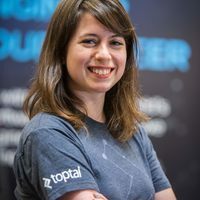 Debbie Levitt, a Toptal designer, joins the speaking roster for this event with a talk titled DevOps ICU: Fitting UX Into Agile. In this talk, she’ll explain how the UX process fits into Agile, saves companies money, augments DevOps goals, and increases customer satisfaction. The conference takes place November 19 and 20, with Debbie’s talk on the 20th at 10:35am. For more information and tickets, please see the event website.